I Heart My Glue Gun: *tap tap* Is this thing on? Hi everyone! I'm here, even though I've been quiet for WEEKS! I celebrated my 30th birthday last week, and celebrate we did! I went on a trip to Solvang, CA with my Husband! It was so wonderful! We also have my fabulous Mother In Law staying with us until Saturday, so we've been busy doing things and enjoying this HOT weather we have! I'll try to have new things up soon, but I can't promise I'll be too active-Summer is just SO MUCH FUN! I love Solvang! It's such a cute place. Oh, and happy belated birthday!!! 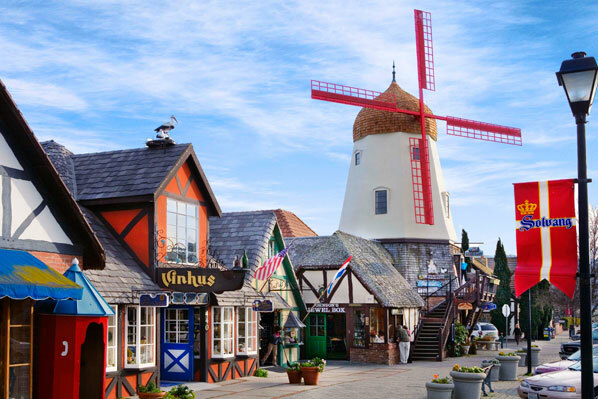 Solvang looks like a really fun place to explore. We share a name and possibly a birthday--9th? I had my 57th. Oh, man, I'm o.l.d. :-) Hope yours was a happy one, no travel for me but a nice dinner out.